New Delhi: The Union government on Wednesday ruled out any plan to issue a White Paper on the Rafale fighter jet deal with France, which has been questioned by opposition parties. Congress MP K.V. Thomas, in a written question in the Lok Sabha, had asked if the government had been urged to issue a White Paper on the Rafale deal by "defence experts as well as some political leaders", and its reaction. Minister of State for Defence Subhash Bhamre replied in the negative to both the questions. 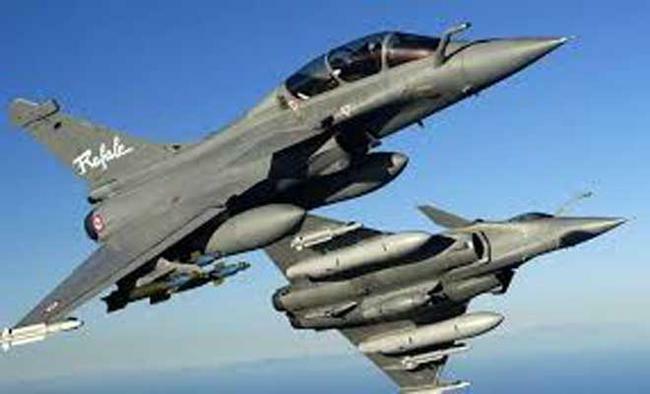 "No such proposal has been received," Bhamre said.Opposition Congress has alleged that the deal for 36 Rafale fighter planes with the French government was finalise at a higher price than the previous deal for 126 medium multi-role combat aircraft (MMRCA).In a reply in the Rajya Sabha earlier, Bhamre had said that no price was arrived at in the previous deal, which never saw a conclusion. "It had not been possible to finalise the terms and condition for acquiring the 126 aircraft even after a protracted process from the period of issue of Request for Proposal (RFP) in 2007 to the unsuccessful commercial negotiations up to 2014," the Minister had said.The Congress has alleged "irregularities" in the agreement to buy 36 Rafale jets off-shelf from France. The opposition party has claimed that the fighter jets are being bought at a price higher than what was negotiated in the previous MMRCA deal wherein 126 jets were to be bought -- the deal included assembly of a number of fighters in India.The government has maintained that the price India is getting under the Inter-Government Agreement is lesser than the MMRCA deal and, citing security concerns, has refused to reveal the price arrived at.